Saving energy and money is always a top priority for most people today. 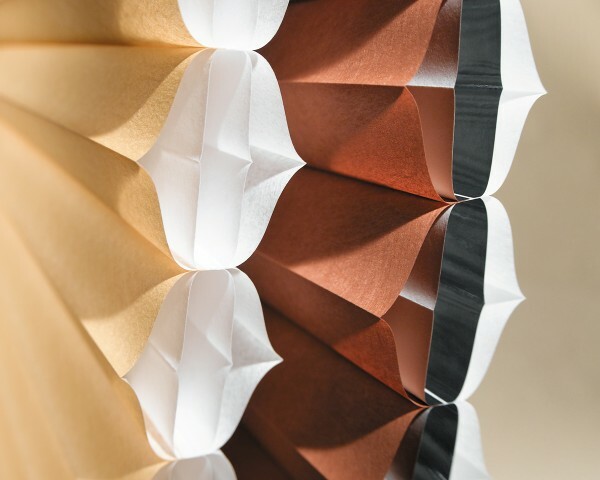 The most recent creation from Hunter Douglas, ARCHITELLA®, can help reduce your energy bills and still provide a homeowner with fashionable looking shades. ARCHITELLA® is a patented honey-comb within a honeycomb design that forms three air pockets to dramatically reduce heat loss at the windows. They come in a wide variety of patterns, sizes and colors. Every shade comes with the Truepleat™ construction to keep every pleat consistently rigid from top to bottom. The beauty of these shades is that even when partially opened to allow in the Sunlight, they still continue to save some energy or they can be fully raised to allow all of the sunlight in and to use the afternoon heating while allowing a full view at the same time. This allows for the ideal balance between full view natural light and safe, secure privacy at night.